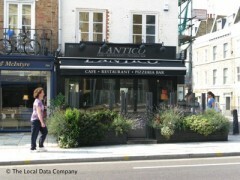 About: L'Antico is a cafe, restaurant and pizza bar. Food okay but surprised when owner does not accept anything but CASH. No signage in restaurant to state this or that he will not accept cards - neither visa nor debit cards. After having a meal with wine and the total in excess of £60.00 is it fair to tell your customer to leave his colleagues and go to Tesco cash machine down the road to settle the bill? Very disappointing, embarrassing for both me and my colleagues and bad for business. No way to treat your customers. No nonsense restaurant, friendly staff & owner absolutely wonderful food & great VALUE.